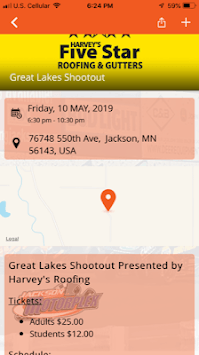 This is the official mobile app of the Jackson Motorplex. Jackson Motorplex is the super-speedway of dirt! Jackson Motorplex is the Midwest's premier 4/10th mile dirt track for Spring Car and IMCA Racing. In addition to the weekly racing schedule, Jackson Motorplex hosts numerous racing events, the largest of which is The Annual Jackson Nationals. Jackson Motorplex features multiple classes of racing, including 410 Outlaw Sprints, 305 Sprints, Non Wing Sprints and 360 Sprints. 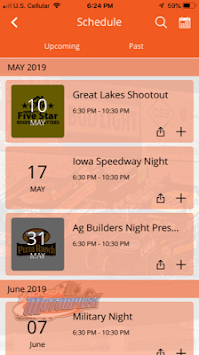 Make your mobile device a unique part of your Jackson Motorplex experience. Now you can stay up-to-date with all the Jackson Motorplex action.